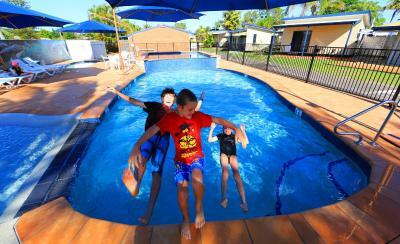 Lock in a great price for Ingenia Holidays Hervey Bay – rated 8.6 by recent guests! Staff very helpful. Good central location. Nice and quiet and short walk to the beach. Just enough of what we needed and nothing we didn't which is just what we signed up for in a budget accommodation, thanks. Place lovely, would stay again. Clean and roomy. . The management team were really great, helpful and friendly. The unit itself was spot on for two people and in a great position. With a bigger unit we could live there as close to everything we wanted. The staff member who assisted me during check in was very friendly and polite and took the time to explain and book our Fraser tour.The cabin was well appointed and spotlessly clean and the shower water pressure was great. Marelle was very friendly. Kitchen Lounge and bedroom were very clean. Ensuite is just outside the bedroom door but fine for us. We have no criticism. We met family there and they permitted us to erect a some Marquees to hold a 60th birthday party. All went well. Good location. Close to shops and beach. Fantastic holiday in large modern3 bed cabin-lovely peaceful outlook onto canal with heaps of birdlife only2streets from beach/takeaways. We stayed in the motel-Type rooms at the front of the property. Don’t be fooled by the drab exterior- the interior is clean, modern and functional, with a galley kitchen and air conditioner. Very comfy queen bed and a double bunk for the kids. The pool is really nice too. 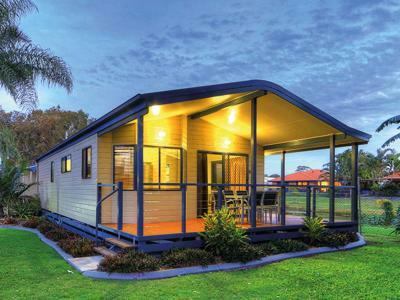 Ingenia Holidays Hervey Bay This rating is a reflection of how the property compares to the industry standard when it comes to price, facilities and services available. It's based on a self-evaluation by the property. Use this rating to help choose your stay! 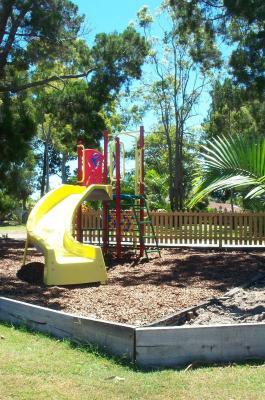 Ingenia Holidays Hervey Bay offers a range of self-catering accommodations set on 8 acres of tropical gardens. Facilities include a swimming pool, heated spa pool, children's playground and internet kiosk. Shelly Beach is only 1,300 feet from Ingenia Holidays Hervey Bay. 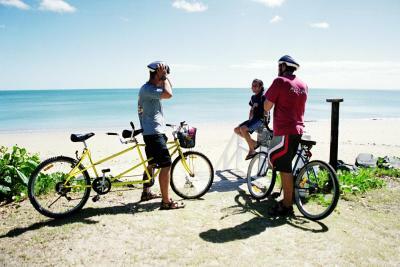 River Heads boat terminal, providing car ferry access to Fraser Island, is a 20-minute drive away. All accommodations includes a flat-screen TV, ceiling fans and a full kitchen or kitchenette. 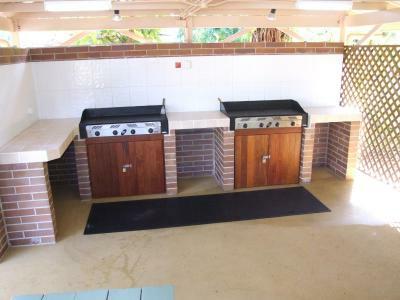 Guests have access to shared laundry and BBQ facilities. Bicycles, canoes and fishing rods are available for hire. There is a small convenience store located on site. 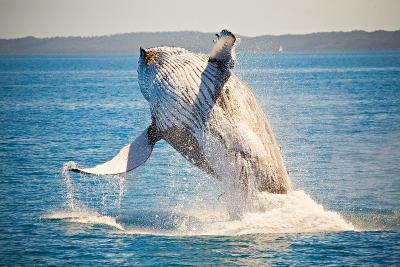 The tour desk can arrange whale watching trips and trips to Fraser Island. 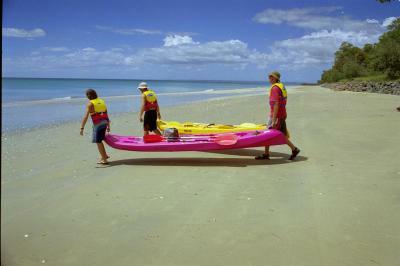 When would you like to stay at Ingenia Holidays Hervey Bay? Built in 2014, this cottage features a patio with outdoor dining area, ceiling fans, kitchenette and a flat-screen TV. There is a private external bathroom only 9.8 feet away. This cottage features full kitchen facilities, air conditioning, a patio with an outdoor dining area, ceiling fans and a flat-screen TV with a DVD player. Refurbished in December 2015, this studio features a patio with an outdoor dining area. It also includes ceiling fans, air-conditioning, a full equipped kitchenette and a flat-screen TV. A dining setting, queen bed and 2 bunk beds are provided. Bright, airy and cool with modern decor, these villas are in the middle of sub-tropical gardens. They include air conditioning, a full kitchen, a large flat-screen TV with a DVD player, a balcony with outdoor seating, and opening windows with security screens. Newly built in November 2010, this modern vacation cabin has a full kitchen with a dishwasher, air conditioning, indoor and outdoor dining areas, a large flat-screen TV, a DVD player and a spacious balcony. Each cabin has 2 private bathrooms and covered parking. Area Info – This neighborhood is a great choice for travelers interested in beaches, beach walks and warm weather – Check location Great location - show map Guests loved walking around the neighborhood! 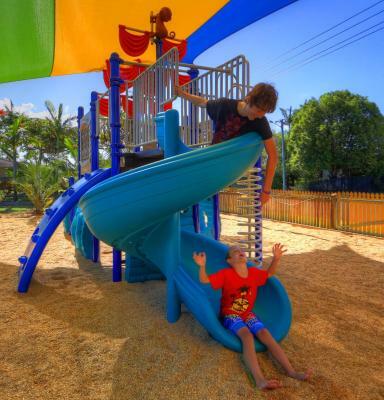 House Rules Ingenia Holidays Hervey Bay takes special requests – add in the next step! 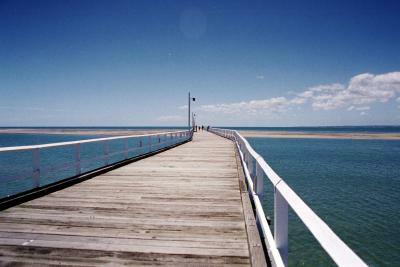 Ingenia Holidays Hervey Bay accepts these cards and reserves the right to temporarily hold an amount prior to arrival. If you expect to arrive outside reception opening hours, please inform Ingenia Holidays Hervey Bay in advance, using the contact details found on the booking confirmation. Please note that free WiFi is provided for the 1st night, additional WiFi is available for an extra charge. For more information, please contact the property using the contact details found on the booking confirmation. Studio cabins provide very little sound proof, sounds like the neighbour is snoring right in my room. Room needs a spring clean. Bed was missing a foot so created an interesting scenario when my son sat on the bed-end. Bed was a little lumpy. Cold showers at times. The light right outside our bedroom that wouldn’t turn off. Every thing was ok apart from overhead fan extractor on stove . It really needs replacing , looks bad and dirty ! Only a short walk to the beach and restaurants. No complaints. No problems at all.